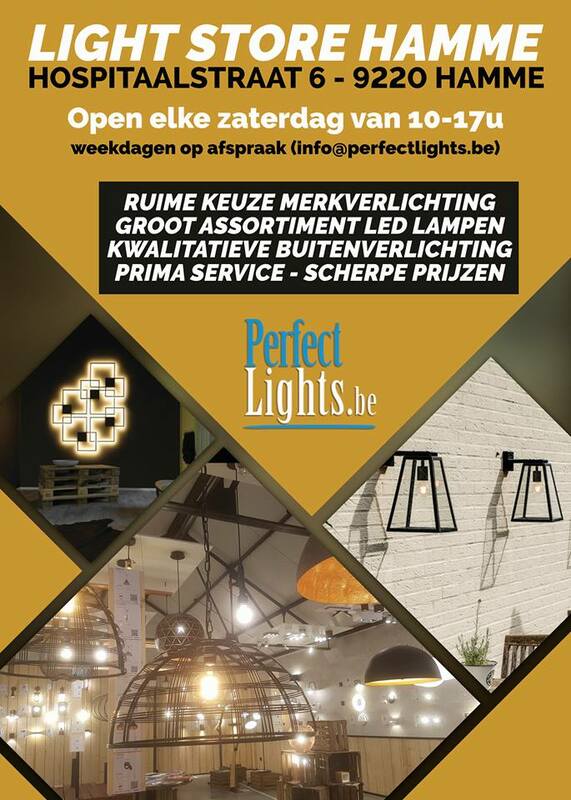 PerfectLights.be is the online light shop of PerfectLights GCV with its own installation service for individuals, companies and installers. We already have many years of experience in the implementation of all kinds of lighting projects. Whether it's lighting a complete hotel building or a private home, at PerfectLights.be you are at the right address for the complete elaboration of your project. Since May 2017 we welcome you in our LIghtStore: Hospitaalstraat 6, 9220 Hamme. You can go here every Saturday from 9.30am to 4pm. Weekdays by appointment.